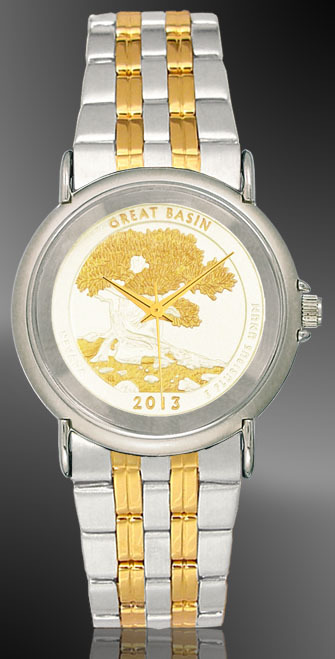 America The Beautiful Quarters Unisex Coin Watch. Uncirculated coin dials, AureTone™ (our extreme precision 24K gold accents on silver plate), Swiss parts movement. Lifetime warranty, numbered signet and certificate of authenticity. Statesman watch featuring the new America The Beautiful Quarters. Swiss parts, American craftsmanship and classic styling combine to create a tremendously versatile watch and a great value. 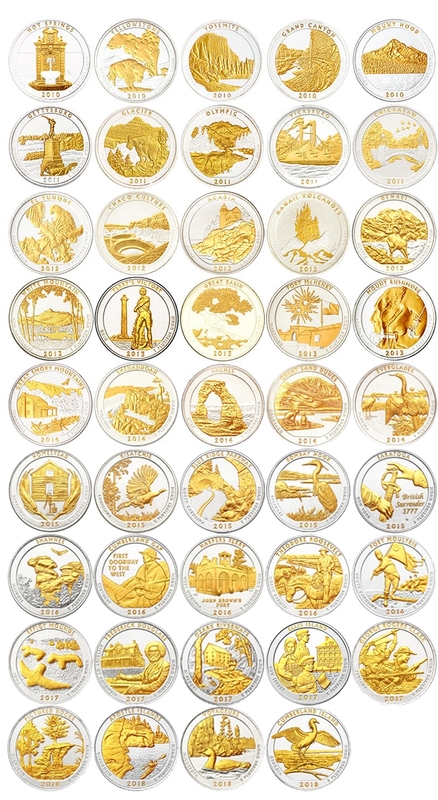 Each is accompanied by a uniquely numbered signet, certificate of authenticity and lifetime warranty against defect. All versions available upon release.